Did you ever take the home phone into your bedroom? Or write notes at school and hide them in a box under your bed? I remember texting friends and deleting certain messages (as if it wasn’t obvious what I had done). This is not a new concept. Teenagers crave privacy and will go to extreme lengths to hide conversations and information from their parents. Living in a digital world where nearly every interaction can be seen by friends, parents, grandparents and that strange neighbor down the street, teenagers have to find new ways to protect their privacy. Now before you continue reading, don’t hear me saying that A) you need to give your teenager absolute privacy and never check on their social media accounts or B) you should monitor every single app, text, phone call or interaction they have. As the parent (or someone who talks to parents about these things), it is up to you to set boundaries and expectations that work for you and your household. However, there should be some accountability for teenagers. As tricky as they think they are, “private” messages are not private anymore. Anything can be screenshot, saved and brought up in the future. Even Snapchat isn’t the secure vault some believe it to be. So as the parent, here are some things you should be aware of and keep your eye on. If you check your child’s text messages and don’t see anything suspicious, make sure they aren’t using some of these other apps to privately message friends. This one is obvious. By this point, most people either love using Snapchat filters to turn themselves into a flower-crown-wearing-princess, or they think it is from the devil himself. This app is used to send pictures and messages either privately or to a group of people. The scary part of this app is that everything is “deleted” (at least from what you can see) after it is viewed. How do you check what is being sent to your child? How do you know if they are being appropriate? This one requires a conversation, because the answer is – you can’t. But don’t panic! We recorded a podcast on this very issue – you should take a listen! Instagram, Twitter and Facebook all have direct messaging features built into the app. If you want to share a funny post but don’t want others to see it, direct messages are the perfect place! These direct messages function much like text messaging – they are private and can be deleted. Direct messages are not a new feature, but it is a way that many teenagers get around parents who check phones. They know that you will check texts and calls first. But if you aren’t thorough enough and don’t ask about direct messages, they could be hiding their more sensitive messages in an app. I actually had a conversation with a teenager who said that he uses a messaging app and hides it in a random folder on his phone so his parents won’t find it. They have no idea to look for messaging apps, and when they do weekly checks of his phone, they find nothing wrong. Teenagers think they are so smart, so parents need to be smarter! Do you homework! Messaging apps like WhatsApp, Kik, and GroupMe are probably the most popular, but there are tons of apps that function as text, video and picture messaging services. 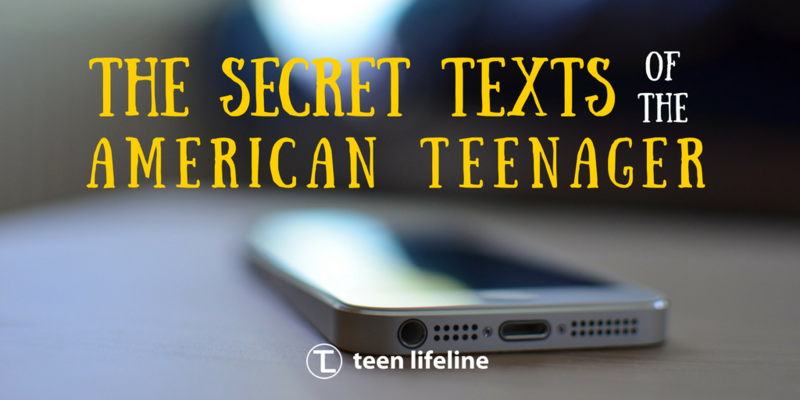 Many teens use these if they want to group message with friends who don’t have iPhones, but they can also be used as a backup text app when they want more privacy. If you approach these things with an open attitude and are shock proof, like we have talked about in this blog, your teen will grow to respect your involvement in their life rather then resent it. Have you seen your teenager using any of these apps? How have you been able to have positive conversations about their social media practices? Let’s assume the best about our teenagers while also holding them accountable!